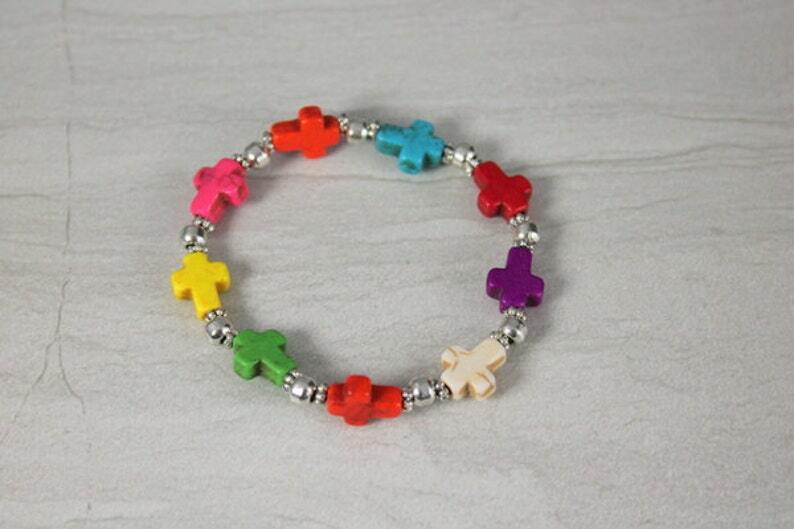 Colorful howlite stone cross and pewter bracelets made in both adult and child sizes. These are stretchy bracelets. The adult size is 7 1/2" and the child size is 6". We can customize the sizes. Just message us.